A new study supporting the encapsulated use of fly ash in building products is a strong clue as to how EPA might shape pending regulation. Although concentrations of these potentially toxic elements are in most cases higher in cement with fly ash than in portland cement, EPA has determined there is little risk of dangerous exposure. UPDATE 12/20/14: EPA issued its final rules, and as expected, found coal ash safe to use in building materials, and declined to categorize it as a hazardous waste. As the December 2014 deadline draws near for the U.S. Environmental Protection Agency (EPA) to finalize regulations for fly ash—a byproduct of burning coal—the agency released a study offering evidence that the material is safe for use in concrete and gypsum wallboard. 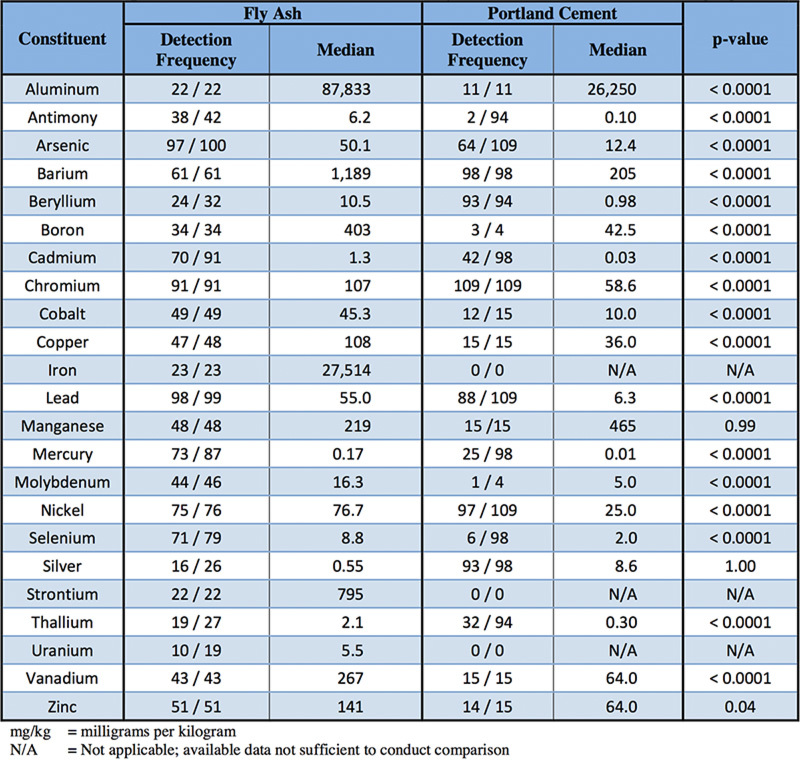 Using a methodology that has become the EPA standard for evaluating products containing fly ash, the study found that concentrations of 18 constituents of potential concern were higher in cement with fly ash than in portland cement, and the lowest mercury emanation rate measured for gypsum wallboard with fly ash was three times higher than the highest rate for mined gypsum wallboard. However, after an exposure review and screening assessment, the report finds that the increased concentrations are still “below relevant regulatory and health-based benchmarks” and concludes that EPA supports the “beneficial use” of fly ash in these products. Using fly ash in concrete offsets greenhouse gas emissions, and diverting it for use in other products means less of it is dumped into landfills, where toxic substances may leach into groundwater (see “Reducing the Environmental Impacts of Cement and Concrete”). However, some say even the latest EPA study fails to put their concerns over health impacts to rest. In a recent statement, The Healthy Building Network warns that the methodology discounts high levels of mercury, was not properly peer reviewed, and fails to investigate exposures that might occur during manufacturing and installation, or after disposal. The study does not address fly ash used in products like ceiling tiles or carpet backing—other common uses in which the fly ash is not as clearly encapsulated (see “EBN’s Position on Fly Ash”). Research Associate , LEEDuser, BuildingGreen Inc.
Amanda, great question. Yes, this study is referring to the former. Coal-fire plants use scrubbers to reduce sulfur dioxide emissions, which produce a sludge that can be refined into flue gas desulfurization (FGD) gypsum. This FGD gypsum contains fly ash—regulated to 1% by mass—and is used by some manufacturers as a substitute for mined gypsum when they make wallboard. It is the use of FGD gypsum that the EPA is referring to as a “beneficial use” of fly ash since it is part of the composition. To our knowledge, manufacturers are not adding fly ash as an ingredient in gypsum wallboard. fly ash in gypsum board? I was not aware that manufacturers were adding fly ash to gypsum board. Is this article referring to the fact that when synthetic gypsum is produced by reacting sulfuric acid emissions from coal burning with limestone, there may be trace amounts of fly ash in the gypsum? Or is the fly ash an ingredient added to gypsum during the manufacture of wallboard? Is there a list if chemicals used in US drywall? My question is in regards to a client's lawsuit of drywall and a zero-volatile organic compound paint that created a toxic off-gassing that made folks sick?